Today, social media provide public institutions with new channels for rapidly spreading information, transparency, self-promotion to improve their image in the public eye, methods for designing and delivering public services with citizens. Taking advantage of the opportunities offered by social media is not limited to central government. Local governments deploy Internet-based innovative technologies that complement traditional methods in implementing different functions. However, social media tools provide opportunities as well as risk and challenges for local governments. 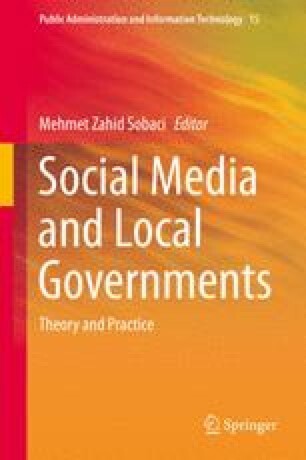 In this context, aim of this chapter is to provide an overall evaluation of the relationship between local governments and social media.